Stock data at your fingertips. In today's fast paced world, sometimes we can take information out of context. StockStalk provides important context about the companies that you read about and life among in real time. 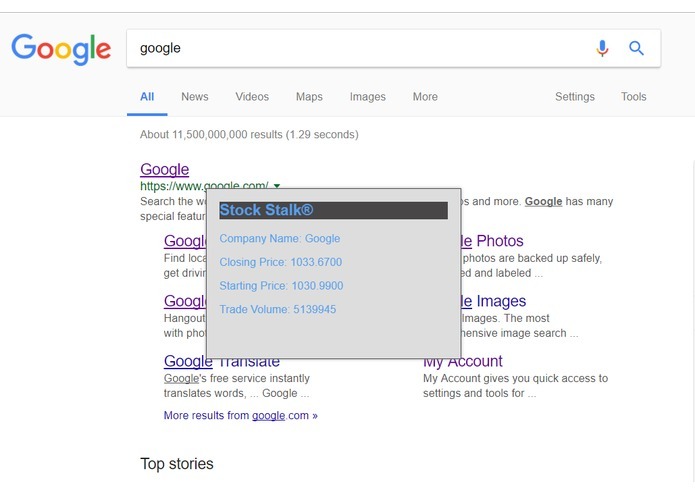 A chrome extension that allows the user to hover over company names and instantly relevant stock information. Stock data is surprisingly hard to find. Stock markets make their money on the distribution of information, and finding places to access realtime information for free was difficult. Also, implementing node libraries in a Chrome extension had many unforeseen complications. Our first Chrome extension, and a working product.